Some of the reasons that the muscle may become tight and knotted are; Pain in the low back or hip, poor core or Gluteal muscle strength, or, trauma, such as an impact on the buttock. These conditions are usually related to weakness around the hip that results in higher levels of stress on the ligaments, tendons and fluid filled sacs known as bursa on the outside of the hip. 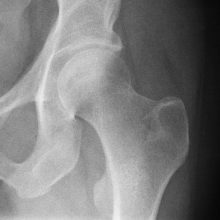 Hip arthritis is simply a thinning of the joint cartilage that results in decreased cushioning within the socket. The cartilage can become frayed and roughened over time and in more severe cases cartilage becomes worn to the extent that the hip can become bone on bone which can be very painful.